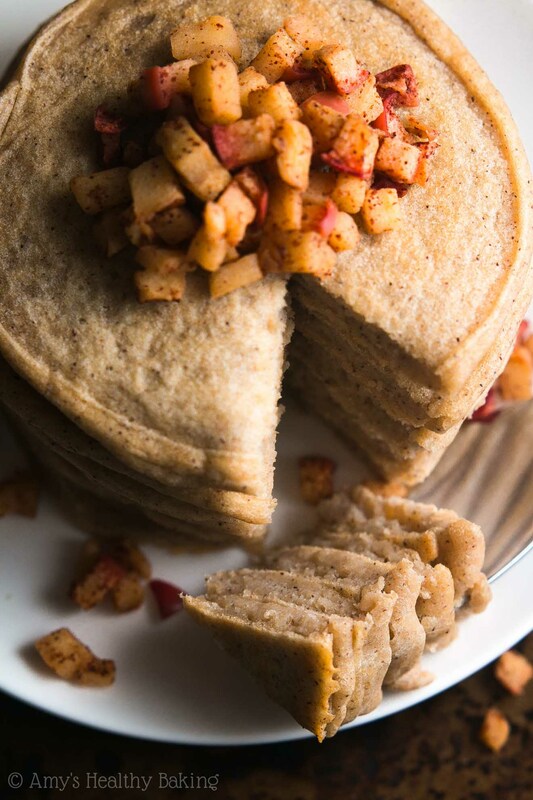 An easy recipe for pancakes topped with cinnamon-spiced apples that taste like apple pie filling! 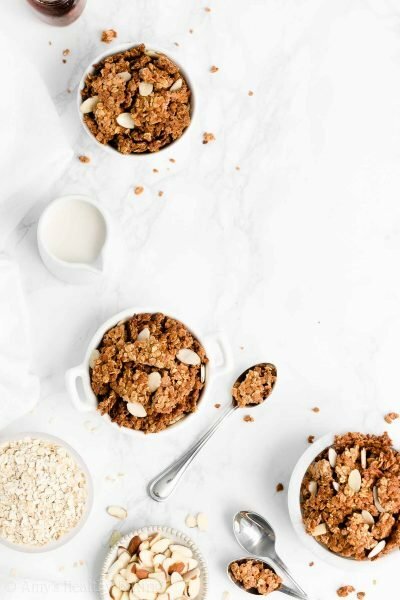 Perfect for lightened-up lazy weekend breakfasts! Today’s recipe is brought to you in collaboration with Silk®. 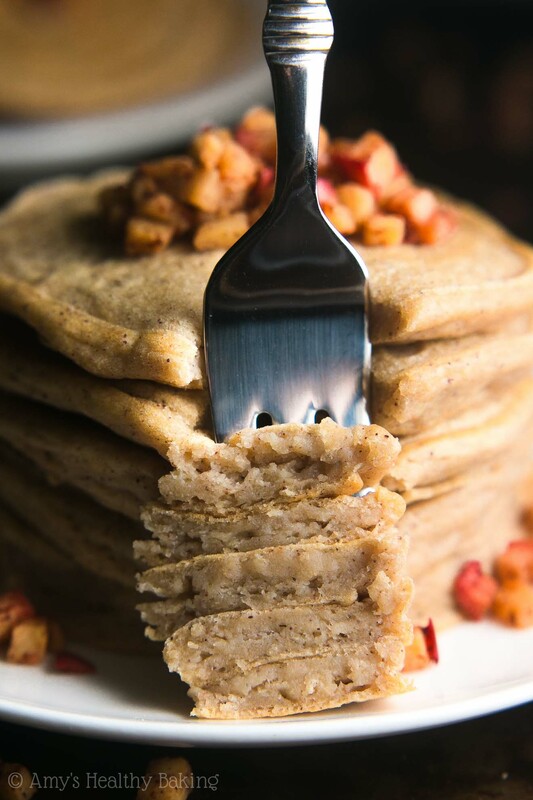 They have an amazing Dairy-Free Yogurt Alternative with lots of plant-powered protein, and it makes these pancakes so tender and irresistible! Throughout our childhood, my brother and I ordered the same meal every time we visited our favorite restaurant for brunch: a gigantic pancake the size of a dinner plate, cooked in the shape of Mickey Mouse’s head. It came with two small dollops of whipped cream, topped with either blueberries or grapes, for the eyes; a little pat of butter for the nose; and a curved slice of cantaloupe or honeydew for the mouth. And we always doused them with the small spouted glass of pure maple syrup served on the side! We continued to request that Mickey Mouse pancake until my 12th birthday, when I grew too old for the kids’ menu. Although I had to switch to the “grown up” menu, my brother could still order the special pancake for another three years—no fair! Once he reached the age limit, he began browsing the regular menu as well. Whereas I grew adventurous and replaced Mickey Mouse with ham and cheese omelettes or scrambled eggs with country-style hash browns, my brother stuck with the same pancakes, just cooked “adult-style” as regular circles without any whipped cream eyes or fresh fruit smiles. Sometimes, he changed his mind and opted for the French toast made from orange cinnamon swirl bread, but regardless of which he ordered, we could almost guarantee that his breakfast would come with a side of maple syrup! He developed an egg allergy and lactose intolerance in college. But when I recently asked him what he missed the most, he shared three things: lemon cookies (these are his favorites! ), pancakes, and crêpes. 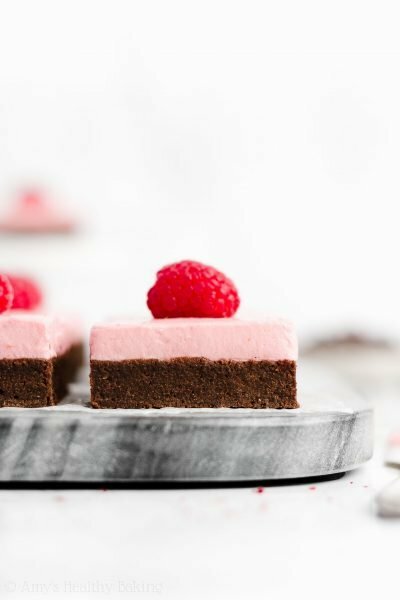 He explained that he can find decent vegan cookies every so often at a specialty grocery store or bakery, but it’s nearly impossible to find any good pancakes or crêpes. So I created these Cinnamon Apple Pancakes just for him! 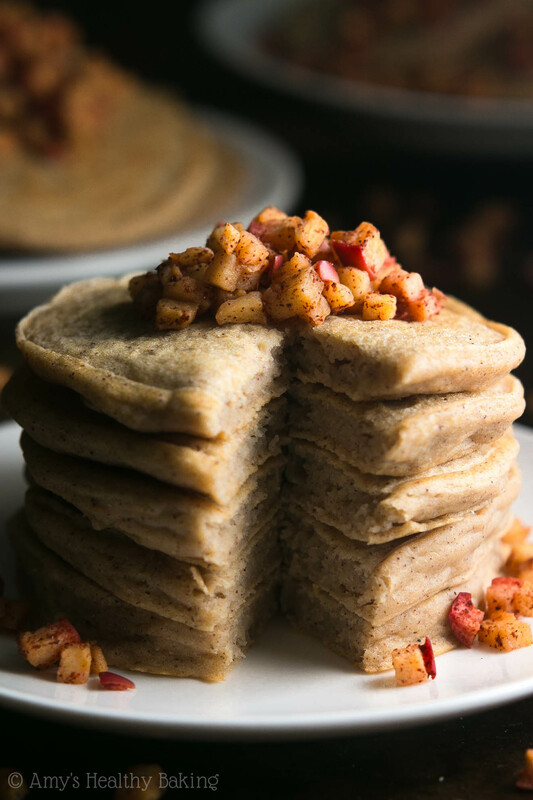 They’re egg-free and dairy-free, but they have the same texture as traditional pancakes. 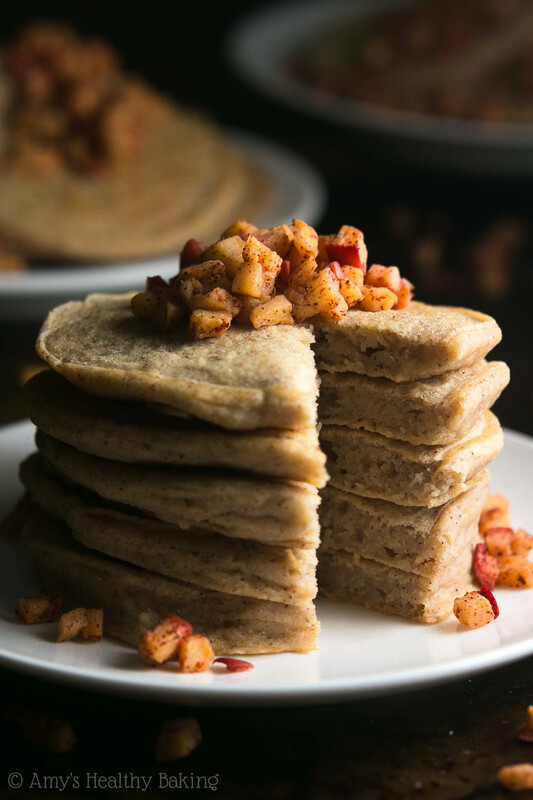 Since he loves apples and eats one nearly every morning, I added spiced apples to the stacks of pancakes too—and they practically taste like apple pie! 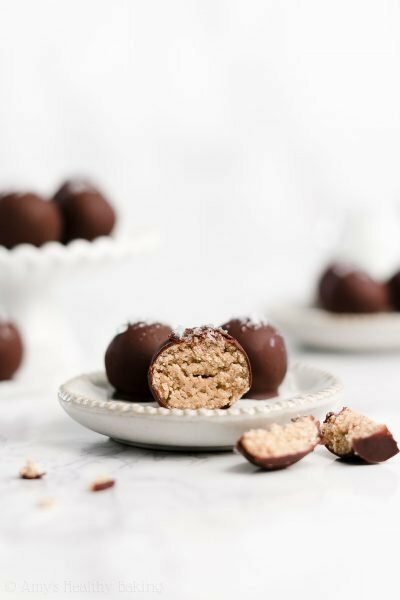 In this recipe, I replaced the egg with Silk’s dairy-free yogurt alternative. They have plenty of fun fruity flavors to choose from, as well as traditional vanilla and plain. I opted to use the latter two while testing this recipe, but I’d imagine that the blueberry or black cherry would be a fun twist! 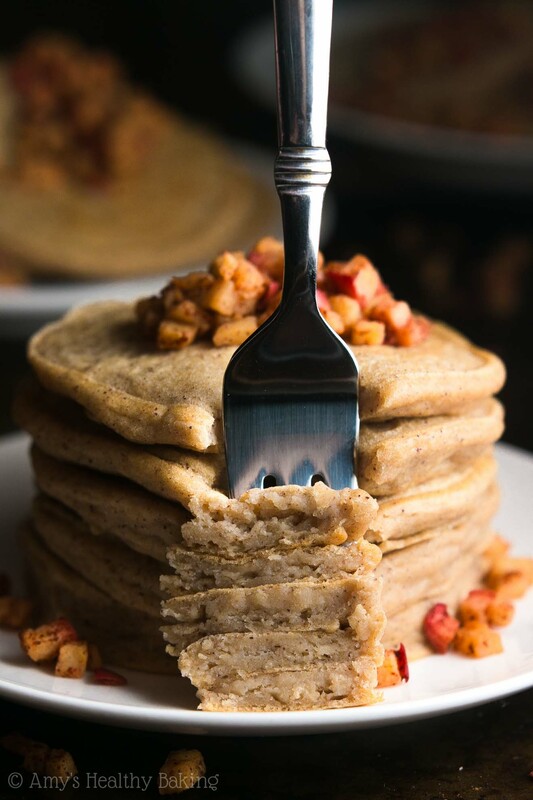 And bonus: Silk’s dairy-free yogurt alternatives are all made with vegan-friendly ingredients, so these pancakes are too! ›› Use a nonstick pan or griddle. Skip the stainless steel cookware—it’ll turn your pancakes a really deep brown, almost burnt! ›› Keep the heat low. Low, even heat = perfectly golden pancakes. On my gas stove, I generally keep the flame as low as it’ll go. Yes, it does take a little extra time to cook the pancakes… But they don’t burn, and that’s totally worth the wait! ›› Flip with your wrist. Not your elbow or full arm! That leads to what I call a “pancake skirt,” where there’s a little extra batter peeking out on the sides. It doesn’t taste any different, but we might as well try to make the prettiest pancakes we can, right? A little twist of the wrist is all it takes! And now for the “apple pie” apples! Dice them finely—the smaller you cut them, the faster they’ll cook!—and add them to a small pan with a sprinkle of cinnamon. Sauté them for a few minutes until they’ve softened. We don’t want crunchy raw apples on top of our soft and tender pancakes! Dig in! 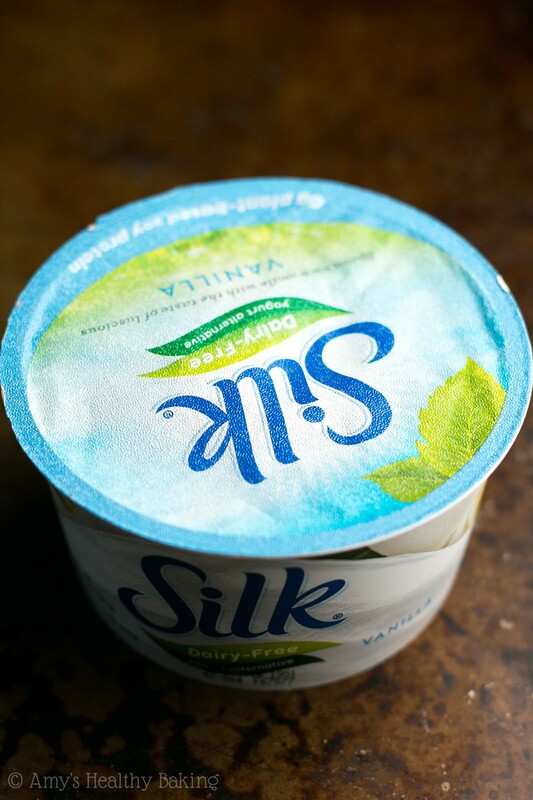 And remember to visit Silk’s website to get a dairy-free yogurt alternative coupon and take their Taste the Goodness Challenge! These pancakes are perfect for lightened-up lazy weekend breakfasts! Any leftovers will keep for at least four days if stored in an airtight container in the refrigerator. They also freeze really well! 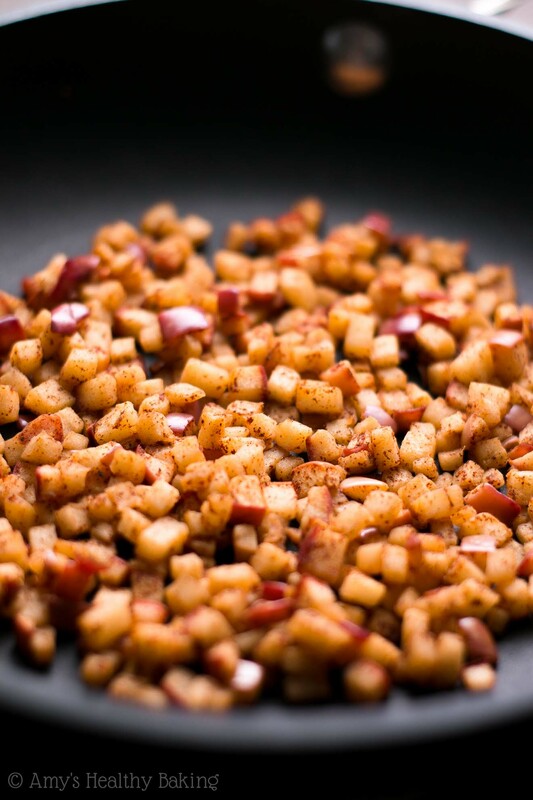 To prepare the apples, lightly coat a small pan with nonstick cooking spray, and briefly preheat over medium heat. Add the apples and sprinkle with the cinnamon. 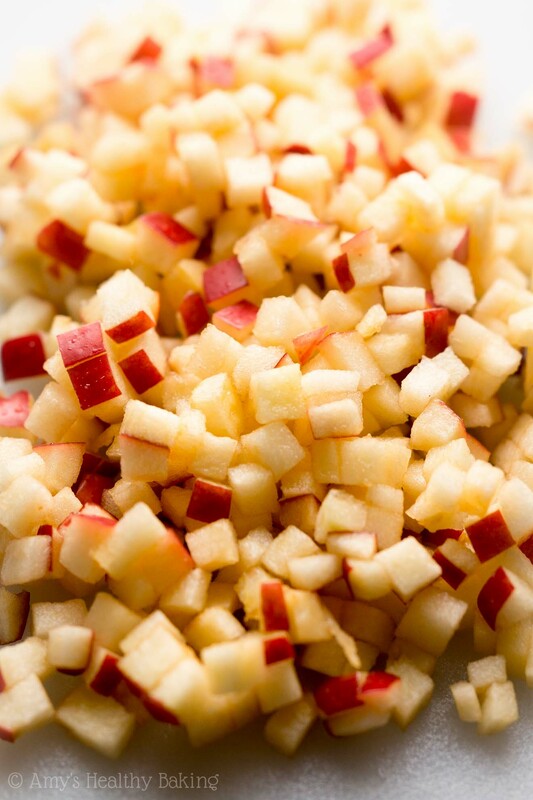 Cook, stirring frequently, for 4-6 minutes or until the apples have softened. Set aside. To prepare the pancakes, whisk together the flour, baking powder, cinnamon, and salt in a medium bowl. In a separate bowl, stir together the coconut oil, vanilla, non-dairy yogurt alternative, and milk. Gradually stir in the flour. Using 2 tablespoons of batter for each pancake, dollop onto the hot pan, and spread into a circular shape if desired. Let the pancakes cook for 2-3 minutes, or until a slight skin starts to form around the edges and the bottom is light golden brown. Slide a spatula underneath, and flip. Continue to cook for another 1-2 minutes or until light golden brown on both sides. Serve hot topped with the prepared apples and pure maple syrup, if desired. 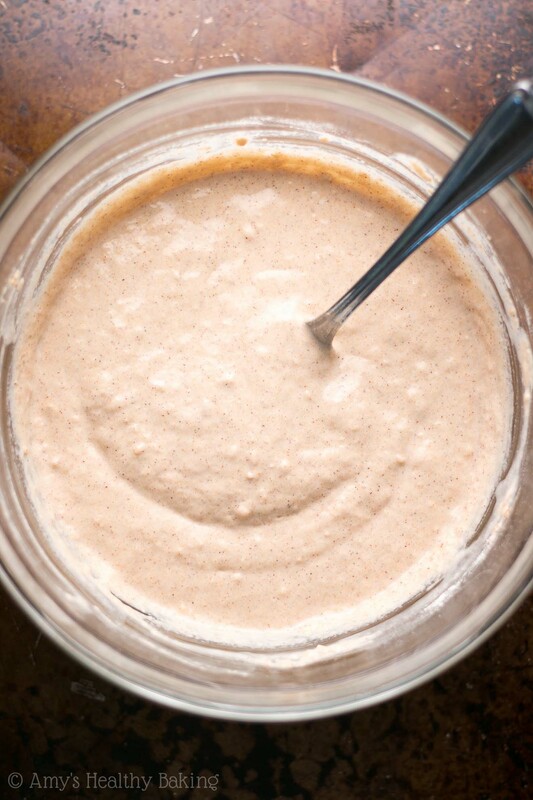 Notes: For the gluten-free flour, I recommend the following blend: ½ cup (60g) millet flour, ¼ cup (30g) tapioca flour, ¼ cup (30g) brown rice flour, and ½ teaspoon xanthan gum. Many store-bought gluten-free flour blends will work as well, if measured like this. For cooking tips, see the text in the blog post above. For more substitutions, see the Nutrition Information page. This post was sponsored by Silk®. As always, all text, images, recipe, and opinions are my own. YUM! Omg these are definitely this weekend’s breakfast, and I can’t wait to try Silk yogurt! 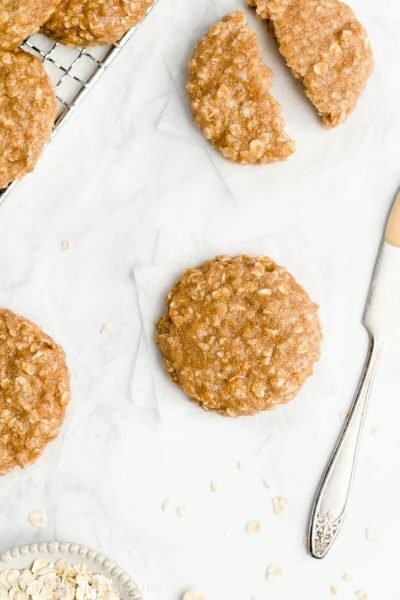 Would homemade oat flour work for this recipe as well? I haven’t worked much with oat flour, but I think it should. 🙂 I can’t wait to hear what you think of the pancakes Marina! Yum!!! Dessert style breakfasts are always the best! Hi I was wondering whether you could substitute coconut oil with anything? I answer that in the Notes section beneath the Instructions (aka the line that reads “For more substitutions, see the Nutrition Information page.”)! 🙂 I’m excited to hear what you think of the pancakes Sara! 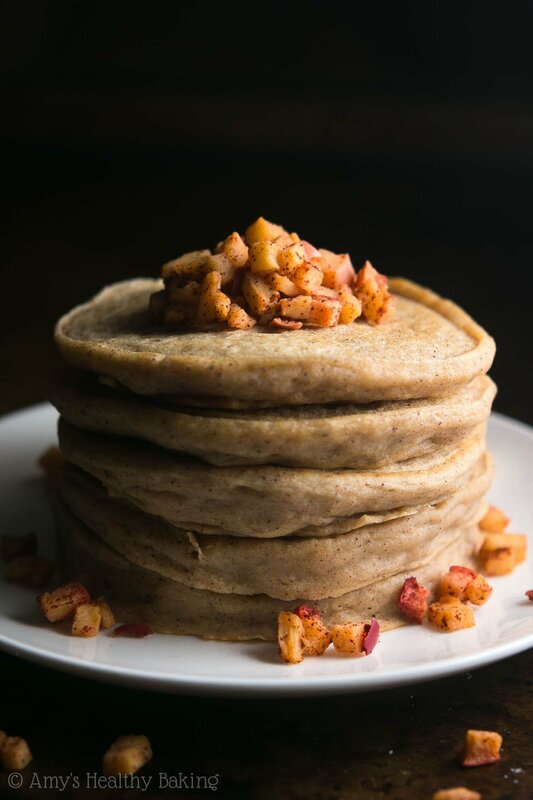 These cinnamon apple pancakes look amazing! The tiny apple pieces are so cute, and the apple pancake stack looks perfect. Oh my gosh these pancakes look too good – they look SO fluffy and light. 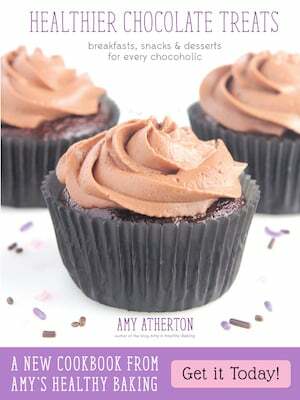 A definite must make recipe! Thanks Thalia! I’d love to hear what you think of the pancakes if you try them! 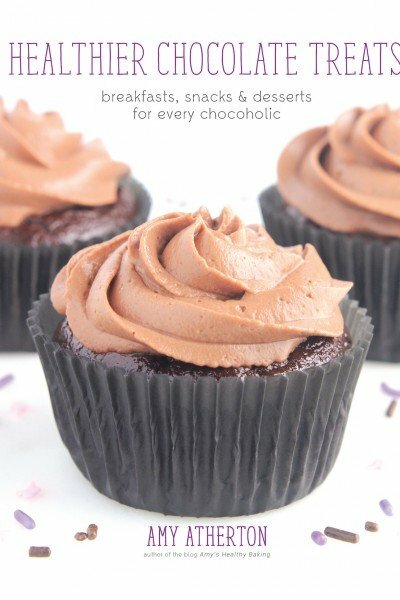 Just made these and they were DELICIOUS! So good, and so light! I substituted the non dairy yogurt for Plain Greek Yogurt, and I had to add about a half cup of water because the batter seemed too thick, but they were soooo good! Made such an easy morning breakfast, and even without the apples, they were delicious! P.S. Honey makes the perfect dressing for these, so good! I’m so glad that you enjoyed the pancakes Madeleine! 🙂 Thanks for including your modifications — I love hearing what tweaks work! And that’s a great tip about the honey! Can I make the batter ahead of time and leave it in the fridge to make the pancakes in the morning? I really appreciate your interest in my recipe Cecilia! I don’t recommend doing that because the pancakes won’t turn out with the same texture. However, the cooked pancakes do reheat very nicely, so if you’d like to have warm pancakes in the morning for breakfast, that would be my recommendation! 🙂 I’d love to hear what you think if you decide to try them!